I hope these videos helped you decide on which product to buy. Trust me, it makes a huge difference! 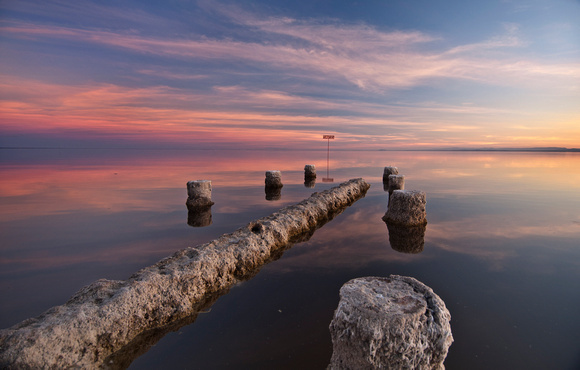 The Salton Sea is a saline, endorheic rift lake located directly on the San Andreas Fault predominantly in California’s Imperial Valley. The lake occupies the lowest elevations of the Salton Sink in the Colorado Desert of Imperial and Riverside Counties in Southern California. Like Death Valley, it is below sea level; currently, its surface is 226 ft (69 m) below sea level. The deepest area of the sea is 5 ft (1.5 m) higher than the lowest point of Death Valley. The sea is fed by the New, Whitewater, and Alamo rivers, as well as agricultural runoff drainage systems and creeks. The lake covers about 376 sq mi (970 km2), 241,000+/- acres, making it the largest in California. While it varies in dimensions and area with changes in agricultural runoff and rain, it averages 15 mi (24 km) by 35 mi (56 km), with a maximum depth of 52 ft (16 m), giving a total volume of about 7,500,000 acre·ft (9.25 km3), and annual inflows averaging 1,360,000 acre·ft (1.68 km3). The lake’s salinity, about 44 g/L, is greater than the waters of the Pacific Ocean (35 g/L), but less than that of the Great Salt Lake; the concentration is increasing by about 1 percent annually. Anyway, the sunset here is spectacular! I’ve never seen anything like it before and the sea meets the water and it constantly changes colors from purple to pink to red to blue to orange, you name it! If you’re ever in that area, stop by and you will see what I mean. It’s a photographer’s heaven! So you’ve purchased your first DSLR and you start taking pictures but your pictures are still coming out like it was taken using a compact camera. Now, you start to wonder why you wasted your money at a more expensive camera and get the same results. Hmm… Then you start playing around with the settings and you might find that you like a particular settings, maybe that one setting with a picture of a person with the star, yeah, that’s the one! The night shot mode! But you didn’t buy a DSLR to just use one settings, you wanna use it in full manual mode but you are not getting the picture you want. Program Mode is just like auto but you have control of the flash. The camera will automatically adjust the exposure, shutter speed and aperture to get that properly exposed picture. Some cameras will automatically adjust the ISO but you have to set it first (read the manual). I use this all the time when I’m just walking around and not looking for a particular look. Shutter Priority Mode lets you control the shutter speed and the camera adjusts everything else. So let’s say you’re shooting a concert and you want a sharp picture and you know that you cannot shoot the photo at less than 1/320th of a second. So you set the shutter speed to 1/320th of a second and the camera will do the rest to give you that shot. Of course you have to increase your ISO for that. Aperture Priority Mode let’s you control the aperture. The aperture is round thing inside your lens, the bigger the aperture the more light it allows and the smaller the aperture the less light it allows. So if you want to shoot a concert or a subject at a very low lighting condition, you have to shoot at biggest aperture to allow as much light. This also controls the focus of your subject. I am sure most of you who got a DSLR want that out of focus look when you’re shooting a subject to totally separate the background from the subject. I know I got my DSLR for that! Well, it really depends on what you shoot. Another example is if you want to shoot landscape then you have to shoot at a smaller aperture to get everything in focus. Just play around with the settings and you’ll eventually get it and figure out what it’s used for. Manual Mode – this is where the camera gives you total control. It is so easy to mess up in this mode but this mode will also give you shots you’re looking for. You control the Shutter, Aperture, Exposure, ISO and everything else! I only use manual when I have my camera on a tripod or I want a specific look. But let’s just be honest, we’re not gonna get the exact look we’re looking for with just the camera. Photography is expensive and you always have that need to acquire new equipment that you think you might think you need! I have gone through several lenses before I stuck with my current ones. So before you go out and buy those things, ask yourself, what would Jesus do?lol. Actually, no, don’t ask that, just ask yourself, “what am I shooting and do I really need this?” This will save you money! So with all the things I just said in mind, go out and shoot! Play around with the settings and you’ll find something that you really like. The beauty of it is that it’s digital, it doesn’t cost you much to take pics unlike film. Yeah your shutter count increases but the life of your shutter is probably at 150k+ clicks. Have fun! Again, if you have any questions, feel free to just comment below or email me. EDIT: I found a very useful video on camera basics. Understanding your camera. Confrontations that impair the constitutional right to make images are becoming more common. To fight the abuse of your right to free expression, you need to know your rights to take photographs and the remedies available if your rights are infringed. while on the premises, you are legally obligated to honor the request. There are some exceptions to the general rule. A significant one is that commanders of military installations can prohibit photographs of specific areas when they deem it necessary to protect national security. The U.S. Department of Energy can also prohibit photography of designated nuclear facilities although the publicly visible areas of nuclear facilities are usually not designated as such. Members of the public have a very limited scope of privacy rights when they are in public places. Basically, anyone can be photographed without their consent except when they have secluded themselves in places where they have a reasonable expectation of privacy such as dressing rooms, restrooms, medical facilities, and inside their homes. activities or endanger safety. However, they do not have the legal right to prohibit you from taking photographs from other locations. offenses. The specific elements vary among the states but in general it is unlawful for anyone to instill a fear that they may injure you, damage or take your property, or falsely accuse you of a crime just because you are taking photographs. Private parties have very limited rights to detain you against your will and may be subject to criminal and civil charges should they attempt to do so. Although the laws in most states authorize citizen’s arrests, such authority is very narrow. In general, citizen’s arrests can be made only for felonies or crimes committed in the person’s presence. Failure to abide by these requirements usually means that the person is liable for a tort such as false imprisonment. must obtain a court order. If someone has threatened, intimidated, or detained you because you were taking photographs, they may be liable for crimes such as kidnapping, coercion, and theft. In such cases, you should report them to the police. You may also have civil remedies against such persons and their employers. The torts for which you may be entitled to compensation include assault, conversion, false imprisonment, and violation of your constitutional rights. If you are disinclined to take legal action, there are still things you can do that contribute to protecting the right to take photographs. (1) Call the local newspaper and see if they are interested in running a story. Many newspapers feel that civil liberties are worthy of serious coverage. (2) Write to or call the supervisor of the person involved, or the legal or public relations department of the entity, and complain about the event. (3) Make the event publicly known on an Internet forum that deals with photography or civil rights issues. 1. What is the person’s name? 2. Who is their employer? 3. Are you free to leave? If not, how do they intend to stop you if you decide to leave? What legal basis do they assert for the detention? 4. Likewise, if they demand your film, what legal basis do they assert for the confiscation? This is a general education guide about the right to take photographs and is necessarily limited in scope. For more information about the laws that affect photography, I refer you to the second edition of my book, Legal Handbook for Photographers (Amherst Media, 2006). This guide is not intended to be legal advice nor does it create an attorney client relationship. Readers should seek the advice of a competent attorney when they need legal advice regarding a specific situation. Palm Springs Aerial Tramway is the largest rotating tramcar in the world. It takes 10 minutes to get to the Mountain Station (8,500+ft elevation) from the Valley Station (2,600+ft elevation). They say on a clear day, you can see the view of the Catalina Island and the light beam of Luxor Hotel in Las Vegas on a clear night. Too bad, the mountain was full of snow and they closed some of the trails. The mountain station offers a spectacular view of the Palm Springs valley. The weather in the mountain is about 30 degrees less than the valley. If you want to get away and experience something new, head to Palm Springs Aerial Tramway and enjoy a day hike or book a dinner reservation and enjoy the view. So last night I posted two pictures of Vuqo Premium Vodka but I also took pictures of a couple of colognes that I just purchased. I played around with black, white, and gray backgrounds but I liked white background better for these products. Again, I used two lighting setup for these shots on white background. My brother came in town and we were supposed to do a photo shoot at this new location I found in Downtown L.A. but it got canceled due to the weather. We wanted to do a photo shoot with him in a nice European cut suit while smoking a cigar and holding a bottle of Vuqo Premium Vodka. So instead of going out in the rain, I stayed home and took pictures of the bottle and a few other items that I will post at a later time. Camera 101 – What Lens to Get? If you thought choosing a camera was difficult, try lenses! 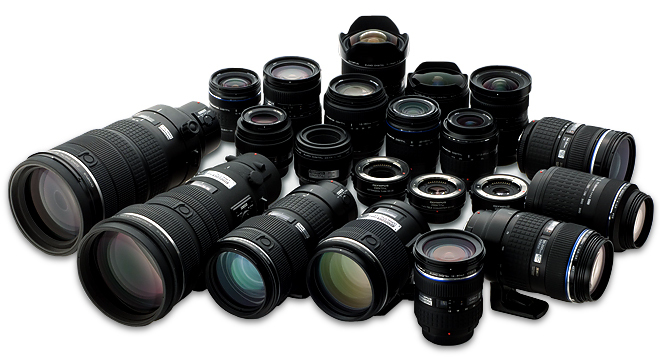 Lenses are manufactured by the camera manufacturers or 3rd party manufacturers. When buying a lens, you always have to consider what it is that you are going to be shooting. Low light or plenty of light? Moving or still? What is the distance? Do you want to separate your subject from your background? These are just some of the questions that you need to ask yourself before buying your lens. Also, since you’re just getting started with DSLR photography, make sure that you stay away from using “Auto”. Use “P” mode instead, this is auto with smart features of your DSLR. I will talk about the modes on the next post. People, Landscapes, Wildlife, Airplanes, flowers, etc. are just a few that I could think of, but there are plenty of other things to shoot. You might say “I want something that I can use for everything”. Okay, most likely, you purchased a camera with a lens kit and most kit comes with 18mm-55mm depending on which kit you bought. 18mm-55mm is a nice range when you’re starting and after shooting with that range for a while, you’ll start to want something and it is something that is missing from what you currently have. You might say “I like my shots, however they are not wide enough” or “I don’t have enough reach to get a close-up shot”. Okay, if you’re looking for something wider, consider buying something lower than 18mm, the lower the number, the wider it gets. If you want to get a closer/tighter shots, then consider buying a zoom lens that’s anything more than 55mm. Usually, it goes from 55mm-200mm or 70mm-300mm, depending on the manufacturer and the aperture (I will talk about this later). These should get you started on what it is that you need. All of your shots depends on lighting. Avoid harsh shadows as much as possible such as direct sunlight or harsh lights produced by spot lights (unless you are going for that look). When shooting under direct sunlight, your images will have dark shadows. If you’re shooting a person, they will have “raccoon eyes” and the picture just won’t look good. There are ways to fill in those shadows and make your pictures look nicer if you really have to shoot under direct sunlight but I’ll talk about that some other time. I will focus on just the basics. If you are shooting with plenty of available light, the type of lens you use doesn’t really matter (I know many of you will disagree with me but think like an amateur). 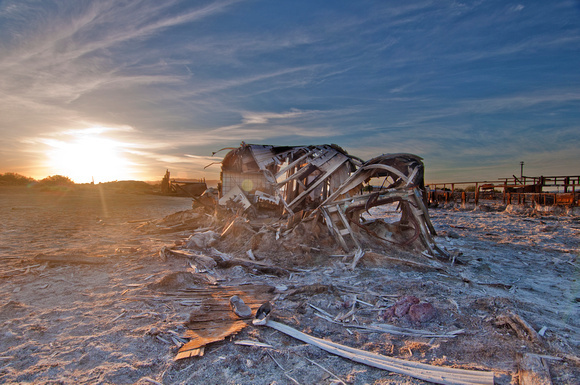 With plenty of available light, your shots will most likely come out clear and crisp. However, low light condition is where the features of your camera will come into play. Your camera, your lens, your angles and everything else will come into play under this condition. Under low light condition, your camera will try to adjust to get the best exposure and best shutter speed to get a clear and crisp shot. However, your camera is not perfect! You are still in control! There are a lot of things you can do to try to get your camera to take sharp pictures but that means that I have to get into technical terms. I want to answer your questions as simple as possible. So let’s try this, here are a few scenarios and what you can do to improve your shots. You’re shooting in “P” mode and your picture is nicely exposed but it’s blurry (Let’s say you’re taking a picture of a person). What do you do? – First, look at your screen and preview the picture that you just took, then click on the info button. This will provide you the aperture, ISO, Shutter speed, Exposure,etc.Look at ISO, aperture, and shutter speed. Make a note of those and switch your mode from “P” to “M”. Some cameras automatically adjust the ISO but it needs to be enabled. Let’s say your camera doesn’t automatically adjust. What you need to do is increase your ISO and shutter speed and also adjust your aperture. – The rule of thumb is your shutter speed should be greater than or equal to your focal length. For example, if you’re shooting at 55mm, your shutter speed should be at least 1/55th of a second or higher to get a clear shot. So switch to manual mode and adjust your shutter speed to 1/50th and take another picture. Is the picture now sharper but it also became darker? The reason for that is because your camera didn’t allow enough time for the light to properly expose the picture. So let’s try another fix. That’s it for now and I hope you learned something new. I will have a dedicated Camera 101 page will links to different sites that talks about everything that I just mentioned. March 21, 2011 | Categories: Camera 101 | Tags: Canon, Fixed, Lenses, Nikon, Olympus, Pentax, Vivatar, Zoom | Comments Off on Camera 101 – What Lens to Get? Camera 101 – Which Camera to get? Which camera to get? This is the most questions that get asked all the time! Canon, Nikon, Pentax and Olympus are just a few of the major consumer camera manufacturers out there. Leica? I’m not even going to talk about that! People who get that either has a lot of love for photography and has been into photography for a while or someone who has a lot of money and just wants to buy a very expensive camera. Since I can’t afford it, I wont talk about it. If you want to find out why, just google Leica Rangefinder and you’ll see why. Now, which camera to get? I say get the camera that your friends own! So you can ask your friend on which lens, accessories to buy specific to your camera or even buy their used equipment. Most likely, your friend will upgrade his/her equipment and eventually sell it. Now that you’ve narrowed down the brand of the camera, another question is which one? The question to ask really is “what is your budget”? You always have a number in your head that you are willing to spend on a camera. You might say, I’m just an amateur and I just want to take nice pictures. You can take nice pictures without spending a lot of money! Point and shoot camera will give you nice pictures, you just have to have an eye for it. If you don’t, spending on a more expensive camera will not give you a better picture, maybe a better quality but not a nice picture so save your money. Now, if you still insist on upgrading to a DSLR, then you need to find out how serious you are going to be in photography. Any entry level camera will do, it’s the lenses that you have to worry about. I’ll talk about lenses on my next update so this time, let’s just stick to cameras. Pros and Cons of Entry Level Cameras: Pros: Cheaper Cons: It will not have the advanced features that most pro cameras have, but you’re just learning so it’s okay. I use a Nikon and most entry level Nikon cameras do not have an Internal Focusing Motor(IMR). Having an IMR will allow you to autofocus on older lenses. Without IMR, you are going to have to manually focus to take shots. It’s really not that bad once you get used to it, but a lot of your shots will be blurry for the first…. let’s say, a thousand pictures! LOL. So what kind of camera really depends on your budget. I say, spend less on camera and more on lenses and you’ll find out why once I start talking about lenses. If you have any questions, feel free to comment below and I will try to answer your questions. Watch out for my next post as I will talk about the lenses and camera features that you need to consider when buying a camera and lenses. March 21, 2011 | Categories: Camera 101 | Tags: Canon, Nikon, Olympus, Pentax, Sony | Comments Off on Camera 101 – Which Camera to get? Finally! I am back! Those of you who followed my other blog (http://jmephotography.blogspot.com), I stopped updating it 7 months ago and 4 months prior to that. But that didn’t mean that I stopped taking pictures. In fact, I now have 14k + actuation on my camera! That’s right, after a year and 1 month of having my camera, I took that many pictures and I’m not even a pro! Well, after 7 months hiatus, I have started a new website and a new blog. My site remain as JMEphotography; However, that domain name is taken and I didn’t want to purchase a .net domain. So before ending up with this name, I thought about JMEphotos, JMEFotos, JMEPhotographique, etc. But none of them sounded simple yet classy. When I hear the word classy, I think of James Bond and French this, French that! So, I sat down in front of my computer and went to Google translate and typed photography – Italian – Fotograpia, Spanish – Fotografía, Portuguese – Fotograpia, and finally, French – Photographie. I liked it! Headed to 1and1 webhosting and entered, JMEPhotographie.com – It’s available! I immediately registered to secure the name since I was afraid that I would have to pick another name. So now, I am done…. at least with the domain name and the blog. I will be traveling again in the near future so keep coming back to this site for new photos. In the meantime, click on the link below to view a slideshow of my favorite pictures. I hope these pictures help inspire you to also take pictures. First things first, do not take pictures when the sun is at it’s highest. Meaning, noon time! The best hours to take photos are during the “golden hours”. The golden hours are 1 hour before and after sunrise and 1 hour before and after sunset. This gives you that nice golden color in your picture. That’s it for now.